Mumbai is one of the hottest real estate markets in India. The city has seen immense growth with high demand and property prices skyrocketing. There has been immense development in the suburban areas surrounding Mumbai to meet the demand for affordable commercial and residential property. Govandi is a suburban neighbourhood in eastern Mumbai, Maharashtra, which has seen excellent development in real estate. A number of developers have launched new projects in the area to meet the demand for property in Govandi Mumbai. Runwal Serene, by Runwal developers, is an excellent property in the area. 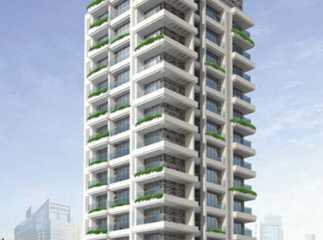 The project has ready-to-move-in 2 BHK apartments starting at Rs 1.73 crores. The luxury property in Mumbai has all the amenities you can dream of including piped gas, fully-loaded clubhouse, gymnasium, landscape gardens, kids’ play area, meditation centre, sports facility, reserved car parking, etc. The complex has been designed to meet every demand of the residents. This ready-to-move-in project has everything that your family desires. A number of social and civic amenities are within the close proximity of the project. The area is well-connected with the rest of Mumbai via road and rail network. Govandi Railway Station is on the Harbour Line of the Mumbai Suburban Railway network and has two platforms which serve North & South-bound railway lines. The area is connected to Mankhurd Railway Station from the North line and Chembur Railway Station from the South line. So, buyers looking for affordable property in Mumbai can invest in Govandi as it provides excellent connectivity to the rest of Mumbai and surrounding suburbs. The area is slated for excellent infrastructural growth and investing in Govandi is sure to give excellent returns in the long run.